I have done EVERYTHING right. I have had more water than I could keep track of. I MEASURED MY FOOD! I ate crazy healthy (eggs & blueberries for breakfast, soybeans & chickpeas for lunch, yogurt for a snack, coffee). I tested every 90 minutes so I could keep track of where I’ve been. I have not rage bolused. I have walked around so as to lower my blood sugar without causing more harm to it. I skipped my workout because I knew the temp basal wouldn’t be good for it. I have taken a shot. I have changed my pump site. IT ISN’T HELPING. And now, now I’m 380. And the nice lady at Animas informed me that long tubing pump sites only come in gray. And do you know what happened?! I CRIED! Are you kidding me? This is not worth crying over! But after a day like today I am not surprised. I am starving. And sitting here writing this and staring at my not-on TV not eating because I’m too damn scared that what I have for dinner tonight will make me jump even more. And that’s just not right. 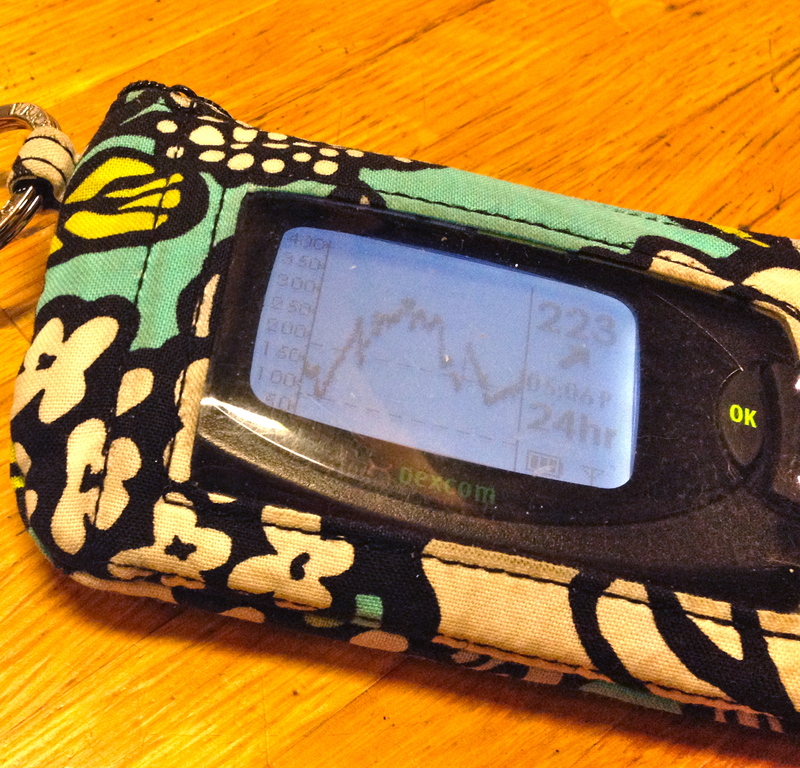 It’s not right that even when you take all the right steps, diabetes can still say, I don’t care. I know we have all been here, but I wish we hadn’t, and thank you for the virtual hugs. Rage, Briley. RAGE! Don’t ask me why, but sometimes a big shot of rage bolus is just what a body needs in order to recognize that “hey, there’s some insulin here, maybe I should use it!”. Just be prepared to treat a low… just in case. Trust me, rage is the first place I want to go, but I’ve had some pretty serious lows because of that in the past which are infinitely more scary, so I avoid them at all costs! Even though the urge is still there. Well then, I’m sorry for trying to tempt you. Feel better!!! Maybe do a series of mini-rage boluses, every 60-90 minutes or so? I’ve found that helps me not have a super low after a rage bolus. Oh Briley – I hope the high goes away!